Strand on the Green is on the eastern side of Kew Bridge, a few minutes from the eastern end of Brentford, the Thames is to the right and the views are all towards the east. The first postcard dates from the early 1900s I think. It is a flimsy card, printed in Germany and published by Mayer & Co Chiswick. It has not been used. The view is to the east of Kew Railway Bridge and it shows a peaceful scene with few people, rowing boats and not much else. Yvonne Butler sent a scan of the above tinted postcard, postmarked 1910. 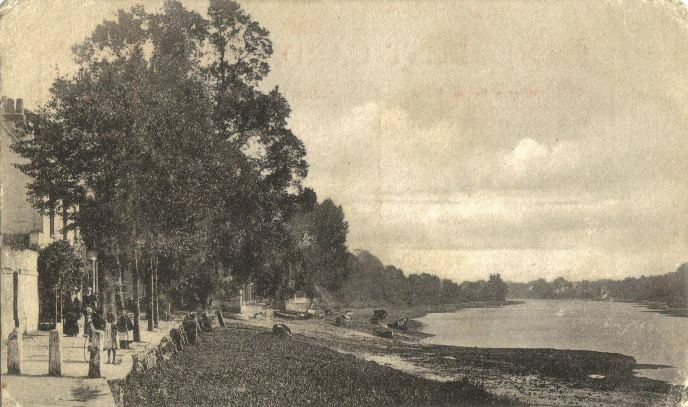 This view was taken from nearer Kew Road Bridge and includes Kew Railway Bridge. 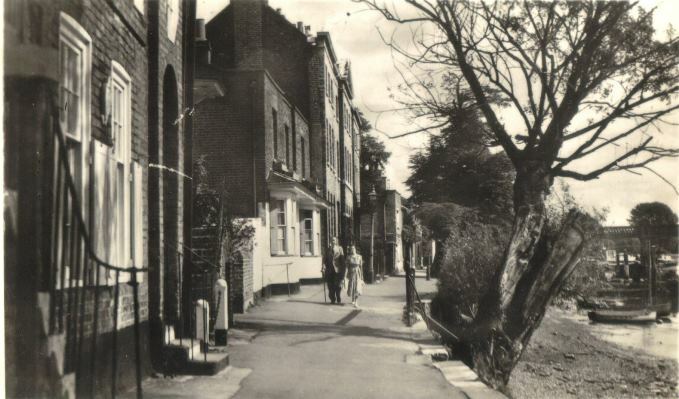 This later card, sent on 9 August 1957, shows a very similar view to the last, the trees having grown up in the previous 40 or so years. It was published by A V Fry & Co Ltd London. Sorry no time for letter writing. Had to work right through the Bank Holiday with disarmament meeting requirements and at home on painting sitting room. Hope to finish larger part of work this weekend as hate the upheaval and mess, but result will be worth while. 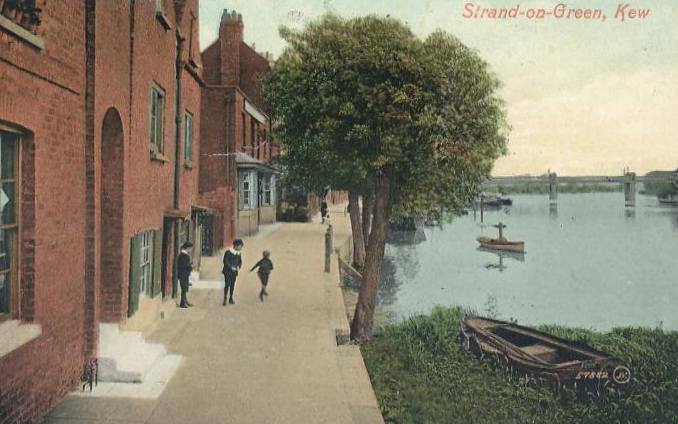 The site has another postcard of Strand on the Green, used as a Christmas card.